NowCar | Will low gas prices be a trend in 2016? Will low gas prices be a trend in 2016? At the start of 2016, average gas prices were the lowest they’ve been since March 2009. This wasn’t the result of one big plunge in prices, but a steady decline throughout 2015. The question on everybody’s mind -- will this decline continue in 2016? According to the EIA, the price Americans pay at the pump is determined by a number of sources. Two-thirds of the price is determined by the current cost of crude oil and the other third of the price comes from a combination of taxes, refining, distribution and marketing. As a result of lower gas prices, American’s have more money to spend on other things which can result in a better economy. One item some folks might want to consider is that larger SUV or truck that they have been putting off because of higher gas prices. The fact is, today’s models are getting much better mileage than their predecessors. 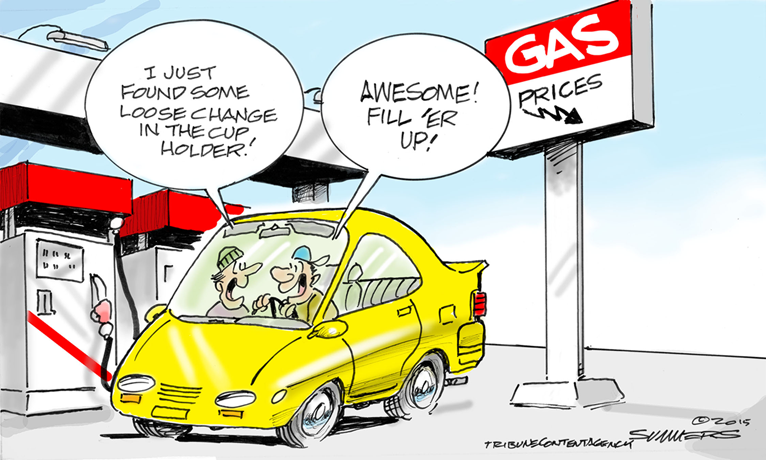 However, if they are in a much more fuel efficient car now, moving to something less efficient could be a bit of a gamble if gas prices were to shoot back up.